The good first I suppose. 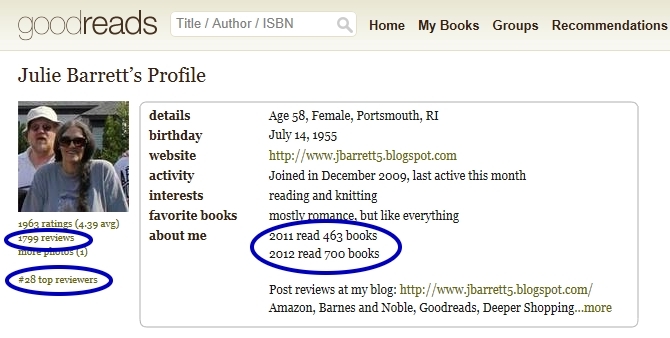 The beta reader, who is also a top book reviewer at Goodreads.com, will be available to beta read Shadow Shifters 2, when it is done with editing. The bad news is my normal reader beta reader, is looking at major surgery, and may not be able to do it. I really hope that is not the case but if it does happen, I will need another beta reader. The last thing I need is more delays on this book. With that in mind, I am seeking another beta reader. You MUST have experience in doing this. At minimum you will receive a free E-copy of the book for doing it and honestly reviewing it. If there are enough sales( there was for the first book) you will receive a hand signed copy of the paperback version. Again, you must have experience beta reading. I need genuine feedback and error checking, not just someone who wants a free copy. Lastly, you must have read the first Shadow Shifters book or be willing to read it immediately obviously. If you are interested and think you qualify, please use the contact page of this blog. Thanks for reading and have a majikal day everyone! On my Facebook page the first review, from one of my beta readers(the book reviewer) who have been reading my soon-to-be released novel “Shadow Shifters”, has been posted. While my beta readers are each making their way through my new book Shadow Shifters, I thought I might take a moment to introduce them to you. This way, you the readers will know who is doing the beta reading, and therefore be able to decide, if the reviews they give will have meaning for you. I am not sure if other authors do this type of thing, but then again, I have never been exactly like other authors. The first beta reader I met when I gave out 219 FREE copies of my first book. She liked the first novel I wrote so much, that she bought the ebook and the paperback, so she could review them both. Her review is still the only review on Amazon USA. Everyone else just grabbed the free ebook and did not bother to thank me with a review. It’s really is a shame because it forced me into the decision, to not give away books again, as people do not appreciate FREE things. At any rate, it was during this time that me and Julie started speaking, and she asked to be a beta reader for my next book and was willing to sign a confidentiality agreement. Even though I was considering giving up writing, after more than 34 yrs. of doing so, it was people like Julie and others mentioned in the credits of my new book, who helped me find my way out of that darkness and back into writing. My second beta reader came as a bit of a shock to me. My wife and her sister both read books. They are what most people would call normal or constant readers. One day my wife decided to share my first novel with her sister. Now I do not know if her sister asked to read it, or if my wife just decided to share it. I guess it does not really matter. Her sister had always given me the impression(and perhaps I am completely wrong in this) that she only tolerated me, because I was married to her sister. Imagine my surprise when she not only liked the novel, but liked it enough to desire to be a beta reader of any of my future novels. It was the realization that someone who was not particularly fond of me, wanting to be a beta reader for my future novels, that really propelled me into the action of finishing this new novel. She does not have a website. She does not normally review books, she just reads like most people. Her name is Anna and here is a link to her FB page. Both have agreed to post a review of the book on my FB page when they have completed reading it, because they won’t be able to review it on Amazon or B & N. They will be getting a free copy and therefore won’t need to purchase it.. I asked them to review the book, before it is published, because I have confidence in this book. I have confidence because this book is something new and different to the horror genre. It is not about made up creatures like vampires or werewolves. It is not another re-telling of a ghost story. It is about actual beings that do exist and have been documented in pictures, film, and personal accounts. It is about beings we know exist but know nothing about. I have created in this book, a complete entirely plausible mythology of what they are, where they come from, and why they are here. This book is not just a YA Paranormal Horror book. It is a real horror book. It would be hard for me, to not to have confidence in it. At any rate, now you know that a book reviewer, and a normal reader, will both be reviewing the book before it is released.